What year did you graduate from UT Health San Antonio? What degree do you have? I graduated from the University in May of 2016 with my B.S.N. degree. I work in a Surgical-Trauma ICU. I think the most valuable lesson I learned during my time in the School of Nursing was to always look for opportunities to learn and grow your knowledge base. No matter what your profession is, always look for those opportunities to learn and become better at what you do. Like the question implies, look for these opportunities inside and outside the classroom. Some of the biggest lessons you learn in life aren’t taught to you in a classroom. What inspired you to want to become a nurse? A few things inspired me to become a nurse. Before I made the decision to become a nurse I had an 8 to 5 Monday through Friday desk job as an Inventory Control Manager. After a few years of doing that, I knew I did not want to do that for the rest of my life. A friend made the suggestion to look into becoming a nurse. After doing some research, it looked like it would a great fit for me. I have always enjoying helping and serving others, and I really enjoy learning. I get to do both of those things on a daily basis now as a nurse. I have a lot of memories from my time on campus. The one thing that sticks out the most though is the comradery that exists at the University and in particular the comradery that existed in my class. I was blessed to be part of a pretty awesome class. We were one big family helping each other out every step of the way. What was your most rewarding experience at the University? My most rewarding experience was being able to serve in the various leadership roles that I was elected to. Serving with other leaders from the schools across campus was a lot of fun. I also was given the opportunity to travel to Washington, D.C., to attend the AACN Student Policy Summit. At this summit, I was introduced to the policy side of nursing, and I was able to go lobby for several nursing-related bills in the Senators’ and Representatives’ offices. This was an experience I will never forget. I think at this point in my career as a nurse my greatest professional achievement has been being a part of the amazing team that we have in the unit I work in. As one of the only Level 1 trauma centers in South Texas, we care for a lot of very sick patients. Our team of RNs, Doctors, and Respiratory Therapists is amazing and working with them on a daily basis to save lives is a wonderful experience. I work as a Registered Nurse at University Hospital in the Surgical Trauma ICU. A “day” on the job for me starts at 1830 and goes until 0700, sometimes later. I work 12-hour night shifts. Depending on the night, I will have one or two patients who I am responsible for providing total care. One of the things that I love most about the unit I work on is that every night is different. You never know what your night will be like. Our patients are very sick and their conditions can change very quickly. You have to constantly be on top of your game and ready to handle very stressful situations. There is always something to do and rarely do you get to just sit down. Every hour, sometimes every 15 minutes, there is always something that needs to be done. It is very busy and sometimes it can be very stressful, but I love it! My advice to current students would be to use the time you have during school to learn as much as you possibly can. Use the time you have there to start creating the foundation that you can build your career on. Approach school in the same way that you’re going to approach your new job when you graduate. Ask questions! When you do not know something, do not be afraid to ask questions. It is better for you to ask questions than pretend you know what you’re doing and risk making a potentially fatal mistake. Also, take advantage of the time you get to spend in clinical. Get in there and get hands on. This is where the real learning happens. 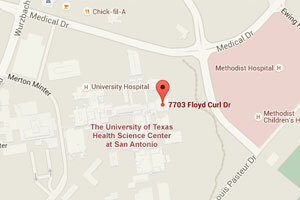 What is your anticipated graduation date from the University of Texas Health Science Center? I will graduate with a MSN in August 2017 (I think August 22nd). I hope to start a DNP program the following week! I am most interested in psychiatry and mental health; that’s why I’m in school to become a psychiatric mental health nurse practitioner. As an Army Nurse Corps veteran, I am especially interested in veterans’ mental health, PTSD, substance abuse, and mood and anxiety disorders. I think the most valuable lesson I have learned has really been a reinforced idea that in healthcare, no one person does it all. We (members of the multidisciplinary team) all work together to provide care. The better we understand each other, the better we communicate with one another, and the better we work together, the better we do for our patients. I was initially drawn to nursing because I wanted a career in a field that I could serve others in need. I was interested in a career in healthcare and, through the encouragement of my mom (a nurse for 38+ years) and dad, decided to pursue nursing. While in college (before declaring nursing as my major), I decided to pursue military nursing because of the conflicts going on in Iraq and Afghanistan. My experiences as an Army Nurse at Landstuhl Regional Medical Center and in Iraq were what led me to pursue becoming a Psychiatric Mental Health NP. The most rewarding experience(s) has been the opportunity to connect with so many of the people that I have met since becoming a student in the School of Nursing. From friends/future colleagues to knowledgeable and experienced instructors to the exceptionally supportive staff of the Office for Student Services, I have gotten to know some outstanding professionals! I would encourage ALL incoming students to apply for scholarships. I believe a lot of students, for whatever reason, think “I’ll never get a scholarship.” I didn’t think I would qualify for any when I completed my first application before starting here. I have been exceptionally fortunate to receive a scholarship and/or grant every semester that I have attended nursing school. I cannot express what a difference it has made for me and for my family to have received the financial aid each semester. I plan to establish a scholarship with the School of Nursing . My wife and I have discussed starting a small scholarship for a nursing student (hopefully to grow to help multiple students) shortly after I begin practicing as a PMHNP. I’d also like to precept future PMHNP students after I’ve gained some experience as a nurse practitioner.